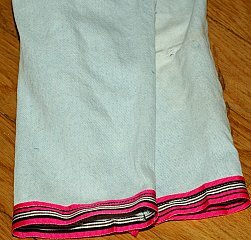 Do you have an old pair of jeans you'd like to dress up? It is easy to spruce up your old jeans just by adding a ribbon trim to the bottom of the pants. Cut the hem off the bottom cuff of your jeans. If you'd like them shorter, like capri length, cut where desired length is. 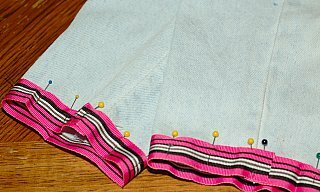 Measure a strip of wide ribbon to go along the edges of the cuffs. Pin the ribbon at the bottom cuff overlapping 1/4-1/2 inch. Sew along the edge to attach. 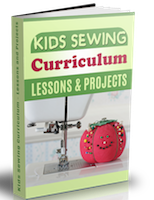 Glue the overlapping end of the ribbon in place with fabric glue or hand stitch closed. 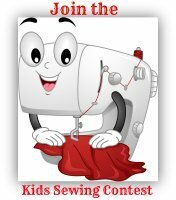 This project is a great way to sew clothes that you may need to fix up. 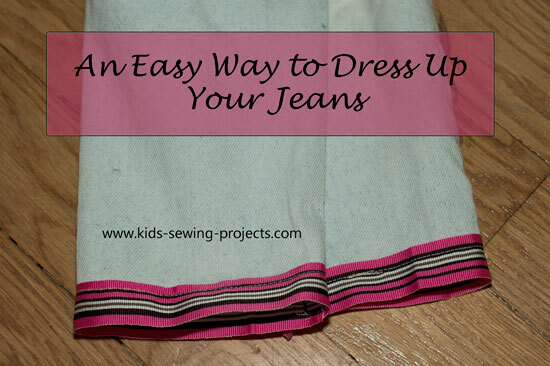 Back to beginning sewing projects from Dress Up Jeans.